This kitchen was a complete remodel designed and built in house by SSB. The floors are reclaimed oak milled to spec and installed in a chevron pattern. 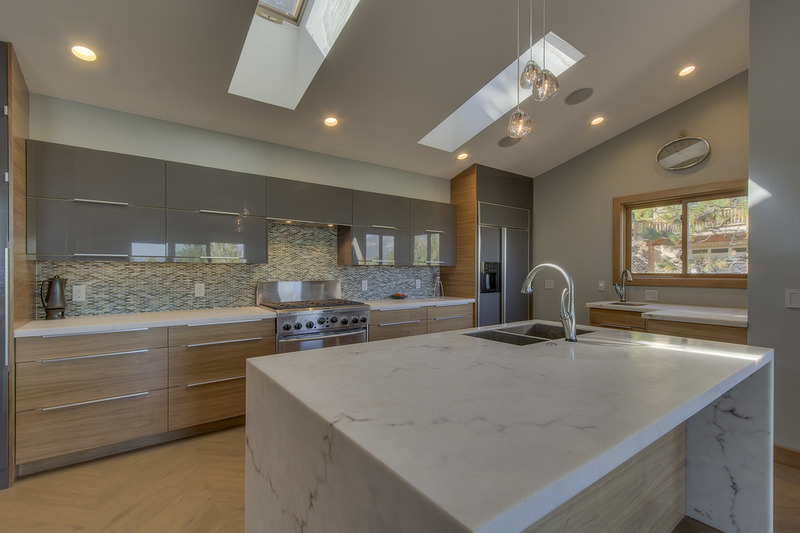 This remodel features a magnificent waterfall island made of 3form, a recycled content panel that looks and feels like marble. Care was taken to source FSC certified and low environmental impact products throughout.